Click to enlarge: Countries recognizing the State of Palestine in green, with most recent addition highlighted. Palestine in magenta (circled). Map by Evan Centanni, modified from public domain graphic (source). Subscribers click here to view this article in the ad-free members area. Not a member yet? Subscribe now! This week, the Catholic Church chose a new leader, Pope Francis. The selection and announcement of the new pope took place in Vatican City, the Church's sovereign territory within Rome. Is Vatican City really "the world's smallest country", or a country at all? And what's the difference between Vatican City and the Holy See? Read all about it! 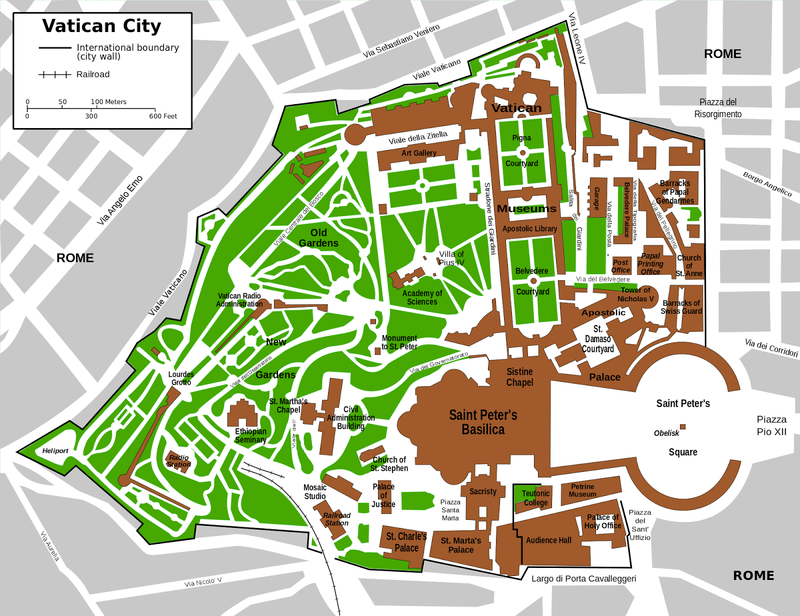 Map of Vatican City (click to enlarge). By Francesco Piraneo G./Wikimedia Commons (CC BY-SA; source). Vatican City was created by the Lateran Treaty in 1929 to ensure the Catholic Church's independence from the control of other countries, and has an area of only about 0.17 sq mi (0.44 sq km), or about one-eighth the size of Central Park in New York. In addition to the Pope, the state said to have a population of about 800, most of whom are either clergy or members of the Swiss Guard. Located within the city of Rome, Vatican City is surrounded on all sides by Italy, and nearly encircled by a stone city wall except for in St. Peter's Square, where it is separated from Italy only by a white line drawn on the ground. 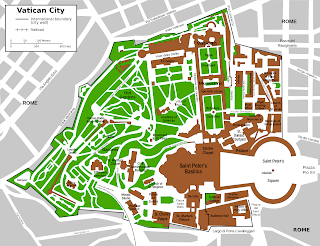 Various religious and administrative buildings are located within Vatican City's confines, but more than half of its area is taken up by the green space of the Vatican Gardens.